Doctor Who is a long-running, award-winning British science fiction television programme produced by the BBC(Brithish Channel Braodcasting). The programme depicts the adventures of a mysterious alien time-traveller known as "the Doctor" who travels in his space and time-ship, the TARDIS(Time and Reletive Dimension in Space), which appears from the exterior to be a blue Police box. With his companions, he explores time and space, solving problems and righting wrongs. The character of the Doctor was initially shrouded in mystery. All that was known about him in the programme's early days was that he was an eccentric alien traveller of great intelligence who battled injustice while exploring time and space in an unreliable old time machine called the TARDIS, an acronym for Time And Relative Dimension(s) In Space. The TARDIS is much larger on the inside than on the outside and, due to a malfunction of its Chameleon Circuit is stuck in the shape of a 1950s-style British police box. As a Time Lord, the Doctor has the ability to regenerate his body when near death. Introduced into the storyline as a way of continuing the series when the writers were faced with the departure of lead actor William Hartnell in 1966, it has continued to be a major element of the series, allowing for the recasting of the lead actor when the need arises. The serial The Deadly Assassin established that a Time Lord can regenerate twelve times, for a total of thirteen incarnations (although at least one Time Lord, The Master, has managed to circumvent this). Of all the monsters and villains, the ones that have most secured the series' place in the public's imagination are the Daleks, who first appeared in 1963 and were the series' very first "monster". The Daleks are Kaled mutants in tank-like mechanical armour shells from the planet Skaro. Their chief role in the great scheme of things, as they frequently remark in their instantly recognisable metallic voices, is to "Exterminate!" all beings inferior to themselves, even destroying the Time Lords in the often referenced but never shown Time War. Davros, the Daleks' creator, became a recurring villain after he was introduced in Genesis of the Daleks, in which the Time Lords send the Doctor back to either destroy the Daleks, avert their creation, or tamper with their genetic structure to make them less warlike. Davros has been played by Michael Wisher (first introduced in Genesis of the Daleks), David Gooderson (Destiny of the Daleks), and Terry Molloy. Cybermen were originally a wholly organic species of humanoids originating on Earth's twin planet Mondas that began to implant more and more artificial parts into their bodies. This led to the race becoming coldly logical and calculating, with emotions usually only shown when naked aggression was called for. The Master is a renegade Time Lord, and the Doctor's nemesis. Conceived as "Professor Moriarty to the Doctor's Sherlock Holmes," the character first appeared in 1971. As with the Doctor, the role has been portrayed by several actors, the first being Roger Delgado who continued in the role until his death in 1973. The Master was briefly played by Peter Pratt and Geoffrey Beevers until Anthony Ainley took over and continued to play the character until Doctor Who's cancellation in 1989. The Master returned in the 1996 television movie of Doctor Who, played by Gordon Tipple in the pre-credits sequence, then Eric Roberts, and in the three-part finale of the 2007 series, portrayed by Derek Jacobi and John Simm. Dramatically, the companion characters provide a surrogate with whom the audience can identify, and serves to further the story by requesting exposition from the Doctor and manufacturing peril for the Doctor to resolve. The Doctor regularly gains new companions and loses old ones; sometimes they return home or find new causes — or loves — on worlds they have visited. Some have even died during the course of the series. The most recent companions of the Tenth Doctor (David Tennant) are Martha Jones (Freema Agyeman), and Captain Jack Harkness (John Barrowman), both of whom depart at the end of "Last of the Time Lords". Catherine Tate will reprise her role as Donna Noble from the 2006 Christmas special, becoming the Doctor's companion for the entire run of the fourth series. Agyeman will appear as Martha Jones in three episodes of the spin-off series Torchwood before returning to Doctor Who halfway through the fourth series.. Billie Piper has briefly reprised her role as Rose Tyler in the Series 4 episode Partners in Crime and will return to the series from Turn Left to Journey's End. For the 2007 Christmas episode "Voyage of the Damned", the Doctor's companion was Astrid Peth, played by Australian performer Kylie Minogue. There were two "Dr. Who" cinema films: Dr. Who and the Daleks in 1965 and Daleks - Invasion Earth 2150 AD in 1966. Both were essentially retellings of existing stories on the big screen, with a larger budget and alterations to the series concept. In these films, Peter Cushing played a human scientist named Dr. Who, who travelled with his two granddaughters and other companions in a time machine he invented. Some storylines replicated earlier serials. The Cushing version of the character reappeared in both comic strip and literary form, the latter attempting to reconcile the film continuity with that of the series. 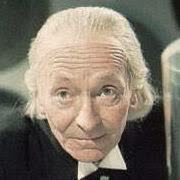 January 8th 2008 would of been actor William Hartnell's 100th birthday. He played the first Doctor.